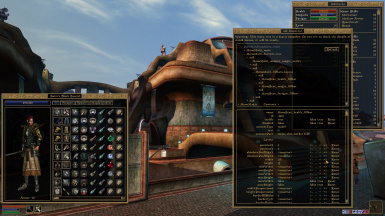 What Velothi/Vivec texture replacer is that one? Looks nice. Is there any chance editing the size of journal/books is possible? Nice, tried this yesterday on my New Morrowind Mods stream and liked it. It actually comes in handy for my streams where the hud is often obstructed by various overlays. Is there a way to make a modified UI default? Can UI elements be toggled off completely?